This 3 hour class uses our collective knowledge, training and techniques to get you prepared & feeling confident about the first hours, days, weeks and months with your baby! We can connect you with information that empowers and local knowledge to ensure that you know where to go if you should need any extra help when baby is here. As we guide so many women and their birth partners through pregnancy & birth the more we see how important it is to focus on this hugely transitional time. Becoming a parent. This is why we have developed this fabulous class. Packed full of information, support and mindset magic. Focus on baby, mother & partner. Looking at the first weeks, 2-4 weeks, the first month & beyond. See how important self-care is & learn fail safe ways of keeping positive. Be given a wealth of local information & connect with other services in your area. 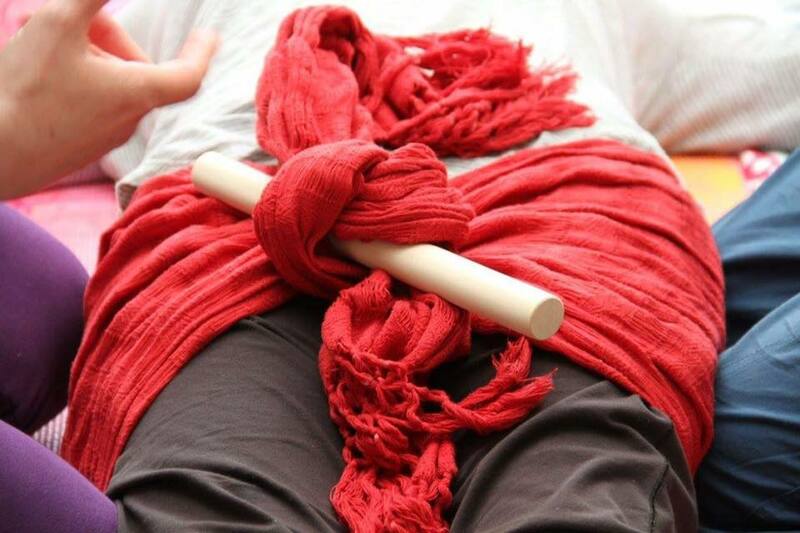 This would make a great addition to your Hypnobirthing classes or as a stand alone class. Closing the Bones is an ancient traditional practice originating from Ecuador. It's a nurturing and relaxing ritual for postnatal women. It closes the hips which literally open up during childbirth, helping to stablise the hips and recentre the body. Emotionally it can be a powerful experience, closing the circle of pregnancy and birth. It's a wonderful way to support a woman's recovery after childbirth, a way to celebrate the amazing capabilities of her body and a way to create a moment of peace, stillness and reflection on the journey into new motherhood. It's a postnatal ceremony. It is a massage with warming, nurturing use of oils and a shawl or scarf. Suitable for any woman wishing to nurture her body and honour her journey, whether she birthed last week or decades ago. Christy can come to your home to provide this gorgeous massage and ceremony. You are welcome to have your baby with you, or any special women to participate in the ceremony if you wish.